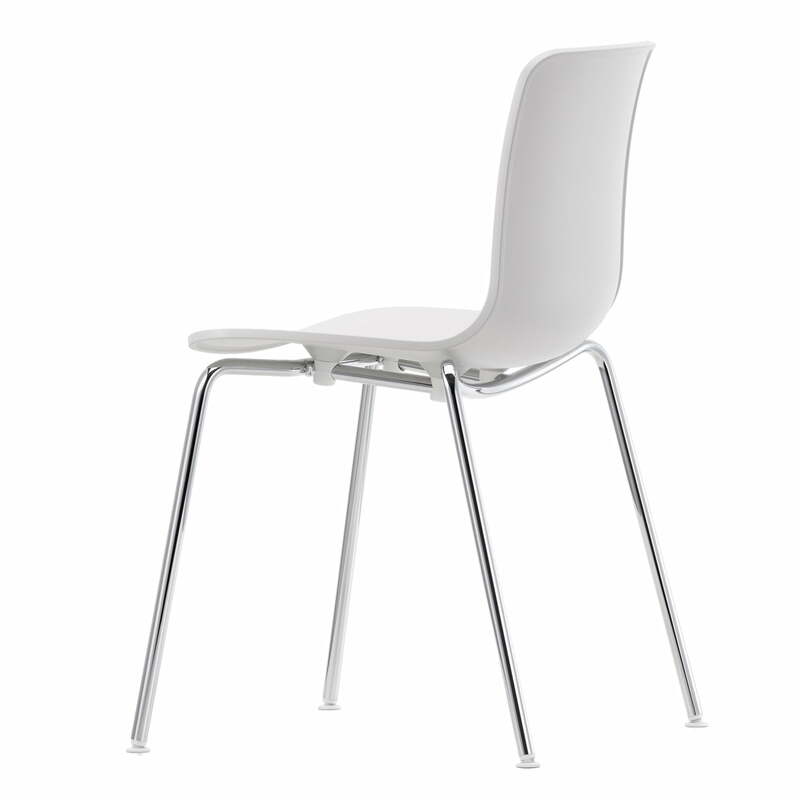 The Tube stackable chair was created by the famous designer Jasper Morrison for the Hal collection by Vitra. Hal Tube is a stackable reinterpretation of the classic shell chair. The four-legged frame of the Hal chair consists of chromed steel tube and the sitting shell of coloured polypropylene. To save space, the Tube chair can be stacked for storing it after usage. The different available colours of the sitting shell allow a perfect integration of the chair into every furnishing. The modern shell chair Hal Tube is very multifunctional and can be used in offices as well as in public or private areas. 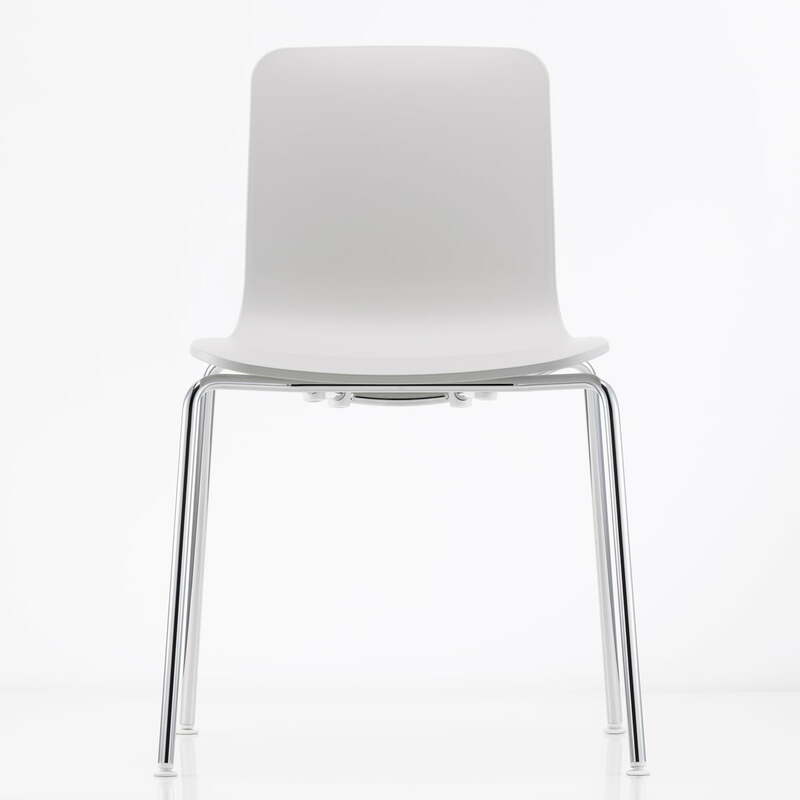 The shape of the sitting shell offers a lot of elbow room and the slightly yielding plastic allows different sitting positions – also sidewards or astride. This is how Hal promotes dynamic and ergonomic sitting.